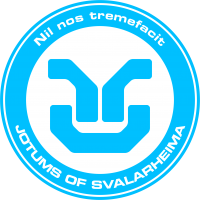 Originally stationed on the frost planet of Svalarheima, Jotums are T.A.G.s of colossal size that honor their appellative, a variant of Old Norse’s “Jötunn”, the name of the Frost Giants of Norse mythology. Widely recognized as one of the finest weapons in all the Human Sphere, the combination of its thick armor and firepower makes the Jotum the dominant factor on any battlefield. Based on the chassis of the multipurpose Squalo, the Jotum has a reinforced structure and incorporates an advanced thick multi-component armor layer as well as a more powerful power plant to be able to carry all the extra weight. The power of the engine and the servos of the Jotum are such that it allowed the engineers to incorporate weaponry hidden under the armor without affecting its performance. The antitank weapon, conceived mainly as a back-up system, is a short/ medium range unguided device with a collapsible shooting platform. Integrating this into the chassis keeps the hands free to carry the main weapon and engage in close combat, increasing the tactical capabilities of this PanOceanian giant. 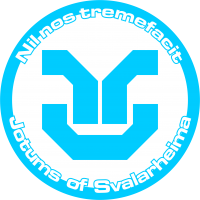 In the organizational chart of the PanOceanian Armoured Cavalry, the Jotums form the Svalarheima Armoured Cuirassiers Regiment; because of that, their equipment is tailored to work in the most inhospitable environments. These systems include an extensible foot plant widener system to travel through snowed or soft terrain, an environmental power plant protection system that avoids malfunction due to low temperature or climatic causes, and a better performance command and control system. Known as Xiǎn Shān (铣 山, Metal Mountain) by the Yu Jing troops, their confrontations with the Blue Wolves on the frozen plains of Svalarheima are legendary. 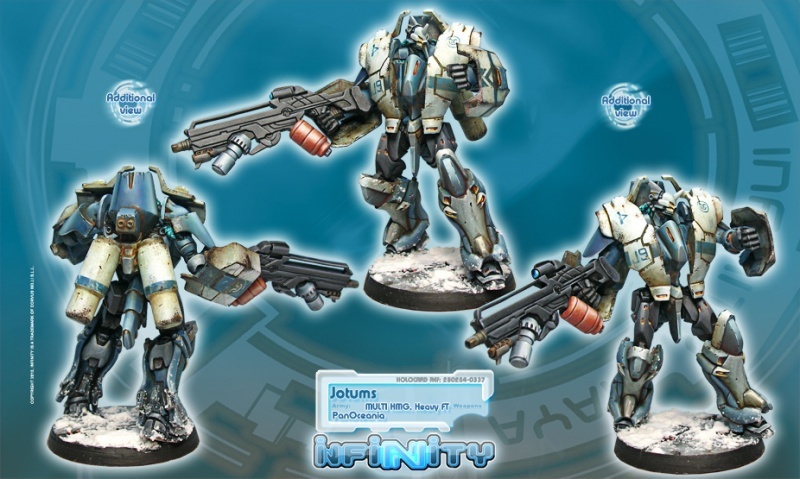 Symbol of PanOceania’s technological power, Jotums are, without a doubt, the most tough and resilient remote ironclads of the PanOceanian army. Their presence is frequently required in those theatres of operation where strong resistance armed with antitank weaponry is expected to be faced and where other units of the Armoured Cavalry could be compromised. However, no matter the menace, there is nothing that can stop this metal colossus. Wherever it is deployed, the Jotum will always impose itself as the relentless and unbeatable Titan it is. This page was last modified on 20 March 2018, at 06:56.